The second (of the planned four) DLC pack for Call of Duty - Black Ops 3 has been revealed. 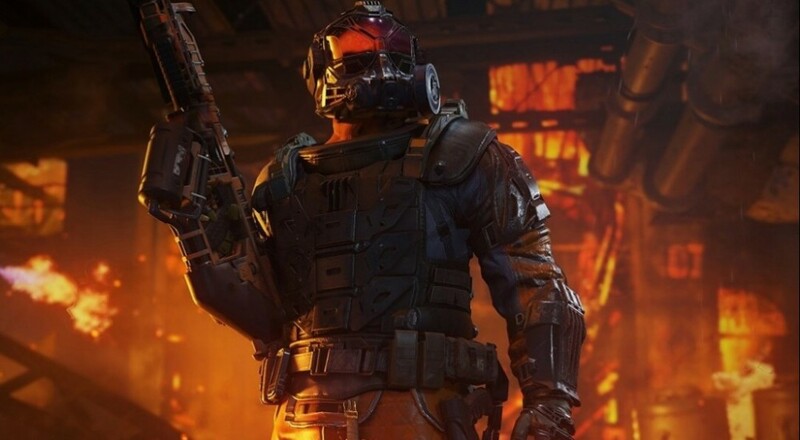 Titled "Eclipse," Activision is taking players to the Pacific this time with four new multiplayer maps and the next entry in the co-op zombie story. In "Zetsubou No Shima," Richtofen, Nikolai, Takeo, and Dempsey find themselves on a remote island that just happens to also be home to yet another Division 9 facility. How convenient! New enemies, side quests, and traps await our heroes as they dive deeper into the research being done with the mysterious Element 115. There's even a little prologue trailer that sets up how they get there. In addition to the new zombie adventure, Eclipse will add four new multiplayer maps: Spire, Rift, Knockout, and Virge, which is a "re-imagining" of the "Banzai" map from Call of Duty: World at War. The DLC pack will retail for $15 (unless you have the Season Pass) and will arrive on the PlayStation 4 first on April 16. As with all of the DLC for Black Ops 3, it won't be available for the Xbox 360 or Playstation 3 versions.